I couldn't be more excited to introduce you all to The Rad Market today! From the amazing jewelry they offer, the design of their website (I mean, really? I'm in love), to their unbeatable prices I'm pretty much obsessing over it all and I think you will, too. I'd call that a fabulous Friday, wouldn't you? There is something for everyone and you can't beat these deals. Okay, let's get into the really good stuff. Keeping it pretty simple because we all like simple, right? Right. 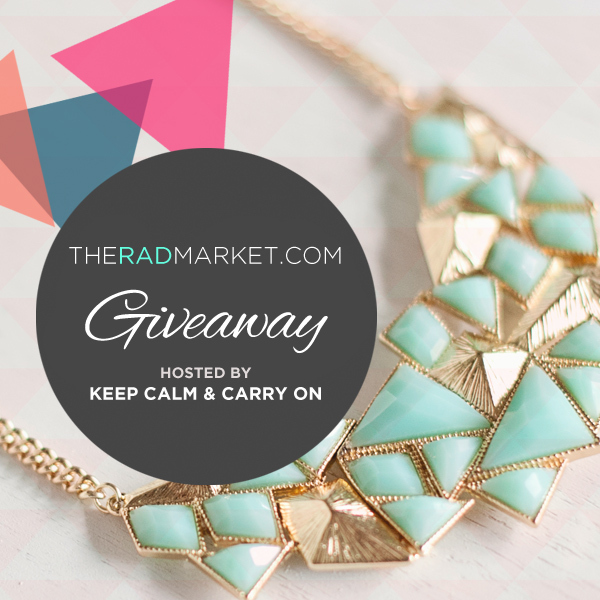 +Visit The Rad Market and comment with your favorite item! That's it! One winner will win a $25 Gift Card. Giveaway is limited to U.S residents and will be open until next Wednesday. I will announce the winner on my blog next week and contact you via email if you are the winner! Giveaway is now CLOSED: Winner is #38-Ashley! Our plan? We might try to go kayaking! Hopefully I can keep up with that husband of mine. There is also a food and wine festival tonight that we're going to with friends that I'm pretty excited about. Have a good weekend Katie! I'm loving the gold infinity bracelet on the Rad Market site! i love the azure tropics necklace! These website is wonderful! I love the loft soiree necklace! I would love to win it! I love the Through The Groves Necklace!! I follow you via Instagram! I "like" The Rad Market on Facebook. I like the Sweet Clementine necklace! Love the prices on Rad Market. I'm considering buying the Gallery Deco necklace in coral. Love! I really like the Bermuda Triangle and the Notting Hill necklaces! I liked the Rad Market on Facebook! This week I am also sponsoring a giveaway on my blog that you and some of the other ladies may like! A $50 gift card to buy some beautiful clothes and jewlery!! Hope you can check it out! I love the collecting shells necklace! I love the Sorrento Marina necklace! I love the "In Retrospect" earrings!! Happy Friday girly!! 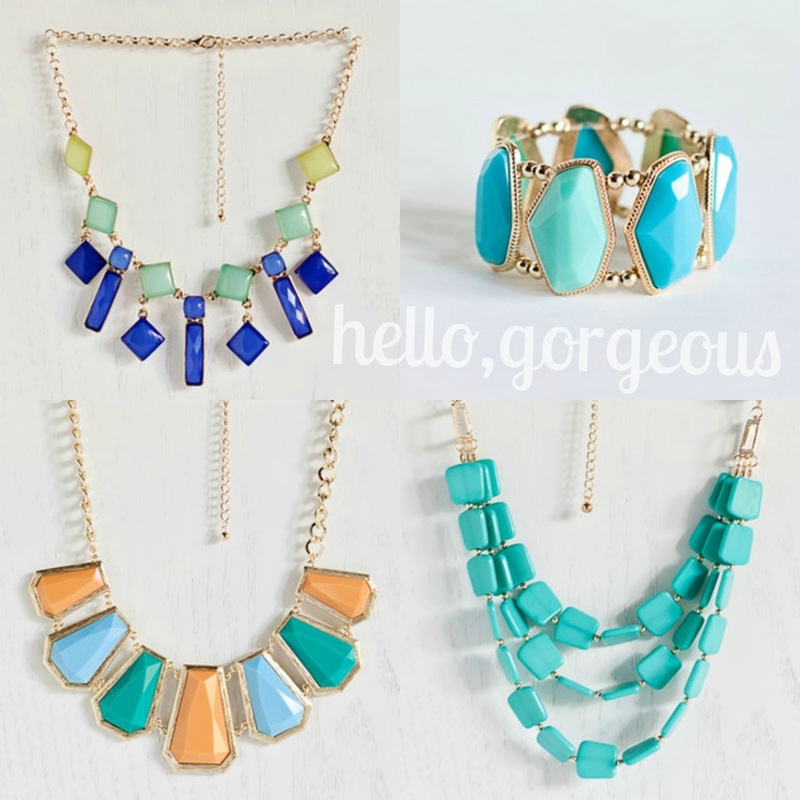 Loving these necklace styles. those seaside studs are calling my name! I love the Seiane Spice necklace! SO gorgeous! I love the Strawberry Iced Tea necklace! so cute! This is such a great shop! thanks for the tip - it's nearly impossible to choose just one favorite! I love the Garden Escape Necklace and the Rio Rings! New insta-friends! @meganmuneio :) have a great weekend! 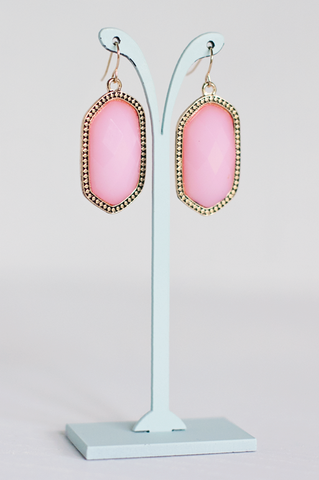 Pinned the Kendra Scott look-a-likes! and I am already following you on instagram. I'm digging the Santorini Necklace in Cocoa! I'm loving the Bowerly Lane Necklace! Love the Sweet Side Necklace! I like the Garden Escape necklace! I LOVE the Loft Soiree necklace! The Ocean Ombre earrings and Stud Lovin' earrings are awesome! I pick the Loft Soiree necklace! Seriously gorgeous!! I totally love those Strawberry Ice Tea and the Pastel Wish earrings. So cute and amazing prices! My favorite piece is the Evenings in Madrid necklace. I follow you on insta. I think one of my favorite items from The Rad Market is: http://theradmarket.com/collections/new-arrivals/products/through-the-groves-necklace-in-pink. I love the pastel pink color but the larger size of the beads/jewels! 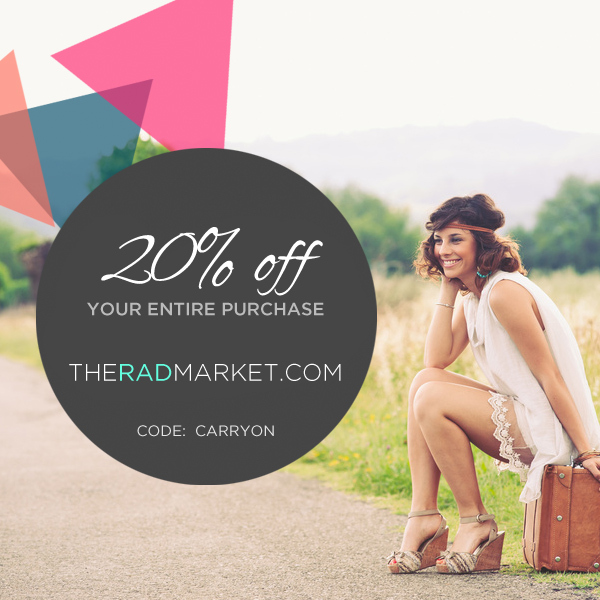 Liked "the Rad Market" on facebook, username: Lauren Filomeo! I LOVE the Rio Ring in White. It rules. In fact, it's the one ring to rule them all.